Soul Tree Gift Certificates, Now Available! Soul Tree™ Soul Treat Selections! Soul Tree™ Online Appointment Scheduling! Soul Tree™ has an array of skin care therapies (offered for a variety of skin conditions) that will take you on a journey to lead you on the path to healthy, radiant and nourished skin while providing calming, balance, and enlightenment (with Refreshments™ provided along the way). Soul Tree™ Skin Care Therapy has facials ranging from Essential Nutrients™ (our essential, foundational facial for normal, normal to oily, oily, normal to dry, dry skin) to Fountain of Youth™, Multivitamin™, Milk & Honey, and Sea Minerals™, (Soul Tree™ revitalizing, ultra hydrating, and firming vitamin and mineral infused facials) and Soothing Soul™, Balance™, and Enlightenment™ (our skin calming, tone, complextion, and texture balancing, and brightening facials). All Soul Tree™ Facial Skin Care Therapy Sessions include consultation, steam, cleansing (double cleanse/precleanse & cleanse), skin analysis, exfoliation, extractions (if needed, additional), masques, massage (neck, shoulders, and décolleté), toning, and moisturizing. Soul Session™: Soul Tree™ Beauty, Body, Skin Care Treatments & Therapy sessions, offered in 30-minute, 60-minute, 90-minute or 120-Minute sessions. Soul Expression™/Refreshments™: Soul Tree™ Express Beauty, Body, Skin Care Treatments & Therapy sessions, offered in 10-15 minute, 15-30 minute sessions. Soul Tree™ Skin Analysis, conducted in every facial/skin care therapy session, or as a complementary Soul Expression™ Session Session™, where your Soul Tree Skin Care Therapist will thoroughly analyze your skin, area by area, zone by zone, and communicate findings; both practically (topically/surface) and holistically (root, underlying/under surface); gathering and providing information on what could be, or is said to be the root of what is manifesting topically and how to bring to balance. 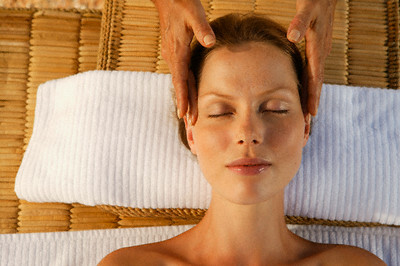 Soul Tree™ has an array Skin Care Treatments & Therapy sessions available. Our Skin Care Treatment & Therapy offers the same benefits of therapeutic skin care services while providing an additional/alternative/integrative element, branch to the tree, to help promote beauty, health and wellness, holistically (see "Benefits of Soul Tree Skin Care Treatments & Therapy Services"). Soul Tree™ Refreshment™ are specialized skin care treatments that are focused on key skin care goals that are designed to renew and revitalize your skin. 20-Minute Skin Care Soul Sesions that are for those who want a treatment but do not have a lot of time for a full session and/or those who have have specific focused skin care concerns between consistent skin care theatmements. Soul Tree™ offers eyebrow, facial, and full body waxing provided with a variety of waxes, specifically selected and utilized; appropriately chosen for your individual skin care needs. Soul Tree™ utilizes All Purpose Honey wax, suitable for most skin types and all waxing areas, Dark Honey, for resistant, coarse, curly hair, Facial Honey Wax and Pore Refining Facial Wax (that exfoliates the skin and unclogs pores while removing unwanted hair); waxes specifically for waxing hair on the face (Pore Refining Facial Wax may also be used on the back), Hemp Wax (hemp known for its healing, anti-inflammatory properties), Tea Tree Creme Wax, soothing, anti-microbial/anti-bacterial (said therapeutic qualities and properties of tea tree essential oil) for sensitive, irritated, oily and/or acne prone skin. Lavender Cream Wax, gentle, soothing, calming, pleasurably aromatic and Floral Hard Wax, a botanical stripless wax infused with Chamomile, Calendula, and Rose oil that calm and sooth; waxes created for sensitive, delicate skin. We even have Milk Chocolate Creme Wax formulated with anti-inflammatory Cocoa seed extract; a complimenting addition to a certain Coconut Cocoa Creme™ Massage and/or Body Treatment, Milk & Honey, an organic creme wax to nourish and soothe the skin, and Expresso an all purpose honey wax formulated with coffee extract (an anti-oxidant to promote healthy skin) with an invigorating aroma that awakenes the mind, body, and soul; complimenting waxes and waxing services to the Soul Tree™ In the Morning™ Massage and/or Body Treatment. As well as, the Brazilian Body Wax, for the Bikini or Brazilian wax, a stripless, hard wax formulated for coarse hair and thorough hair removal yet gentle enough to sculpt, define and design the hair in this sensitive area; or completely remove and bare it all. Soul Tree™, 15-Minute, Holistic Waxing, Skin Care Therapy Consultation, conducted prior to Soul Tree™ Eyebrow, Facial, and/or Body Waxing session, followed by the completion of consultation forms, where guest and practitioner communicate and go over the information provided in the completed forms, providing information about Soul Tree™, the guest's selected session, as well as taking a journey where the guest and practitioner walk through the whole session, step-by-step, going over of the specific techniques and flow of the session, and allowing guest customization. Soul Tree™ utilizes clean, safety, sanitary and sanitation practices, while providing services with comfort enhancing, pain/discomfort minimizing and reducing techniques, procedures, and products to provide a relaxing, professional, and pleasurable as possible waxing experience with desired end results. Note, if taking and/or using the following prescription drugs and/or topicals, waxing is NOT recommended and will not be offered, due to them having a side affect of extreme skin senstivity and irritation, an alternative unwanted hair removal service will be suggested and offered: Retin A, Accutane, Tetracycline, Renova, Glycolic Acid, and/or Alpha Hydroxy. Discontinue use of exfoliates of the waxing area(s) at least three to four days before and after waxing service (depending on the grade, type, and strength of the exfoliate, and the condition of the skin). Minium exposure to sun and cease usage of tanning beds at least 24 hours before and after waxing. Waxing services may not be provided on sunburned, peeling, and/or inflamed skin, scabbing wounds, open lesions, cuts, sores, cyst, boils, warts, and/or moles. Avoid stimulants such as caffeine and/or alcohol before receiving your waxing service, they tend to make the skin more sensitive. Soul Tree™ has an array of massages (offered at a variety of levels) that get to the root, and will speak to your soul; from Grass Roots™ and Soul Tree Essential Soul Therapy™ (our introductory, and enhanced, customized, essential oil infused massages) to Soul Tree Soul Deep™ (our deep tissue massage). We also have massages that offer a reflection of you, as with Soul Tree™ Soul Reflextion(s)™ (our reflexology sessions for the hands, feet, and body), Soul Mates™ (our couple's massage with one Massage Therapist for each client), and Twin Soul™ (Soul Tree™ massage provided by two Massage Therapist on one client). Soon, Soul Tree™ will offer an assortment of Body Treatments that help to tone and detoxify (Soul Tree™ Herbal Remedy™ and Parafango Body Wraps), beautify and renew (Soul Tree Sea Salt Glow™, Flower Power™/Flower Child™, and Lotus Flower™), and care for and nourish (Soul Tree™ Soul Sweet™, Coconut Cocoa Cream™, and In the Morning™). All of these treatments are aromatically appealing and soulfully satisfying; offering a treat and therapy for the mind, body, and soul. Visit www.SoulTree.MassageTherapy.com for more information. © Copyright 2019	SOUL TREE	. All rights reserved.